In this week’s The Full Nerd, Gordon Mah Ung, Brad Chacos, Alaina Yee, and Adam Patrick Murray discuss all things AMD, starting with the bombshell Threadripper pricing. Sixteen cores and 32 threads for $999! Can the far more expensive Core i9 chips compete with such aggressive pricing by AMD, especially with Intel’s debut 12-core clocked at a mere 2.9GHz (as we discovered totally by accident, live, in the middle of the show)? Then we turn our attention to the other end of computing—the affordable Ryzen 3 lineup. Well, we don’t actually know the final costs of those chips, but we make some educated guesses with the threat of literally eating our words on paper on the line. Finally, the Full Nerd crew discusses what Radeon Vega Frontier Edition’s performance means for consumer Radeon RX Vega graphics cards launching at the end of this month, drawing on data from superb PC Perspective and Gamers Nexus reviews of the $1,000 prosumer card. And as always, we wrap thing ups by answering several questions straight from you. Is the mining-induced graphics card shortage almost over? 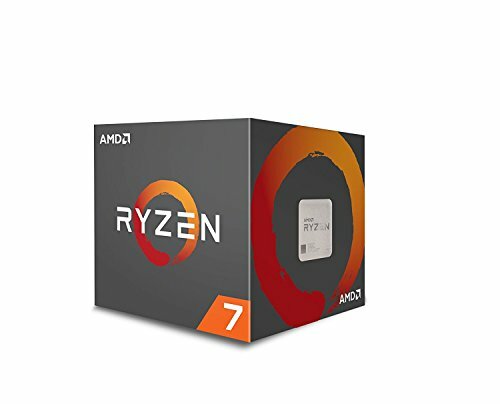 Can you build a competitive Ryzen 7 rig for under $1,000? What ever happened to the killer integrated graphics inside Intel’s Broadwell chips? Those answers and more await. We’ve embedded the full video above, or you can watch Full Nerd episode 26 on YouTube. (Toss us a follow while you’re over there!) If you prefer just the audio, you can also listen to the Full Nerd on Soundcloud.